I was sort of in the mood to make something small and wanted to give a small gift to the Retreat Committee, because I had a great time at the Retreat. And because making stuff is fun. 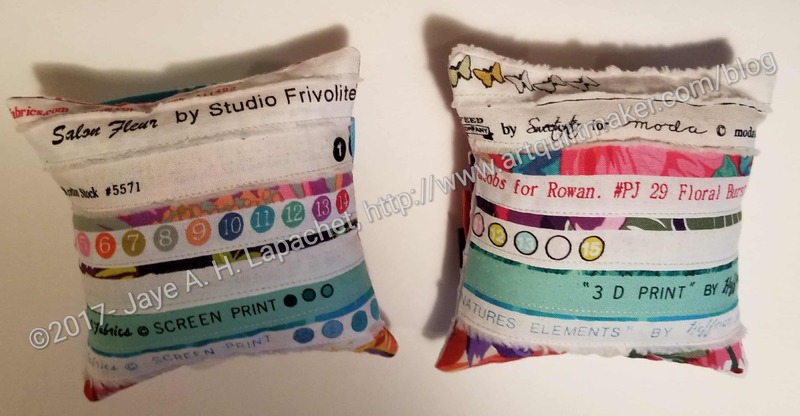 Pincushions are fun and I enjoy making them. I was completely thrilled, because I made these in between work and life. I got them finished after working on them a little bit in the evenings. I was also thrilled, because each entire piece is made from scraps. I did not dig into any yardage. They are from Love Patchwork and Quilting, issue 39. It is available digitally in the Apple and Google Play stores. I told myself I wasn’t going to use selvedges again, but I did anyway. 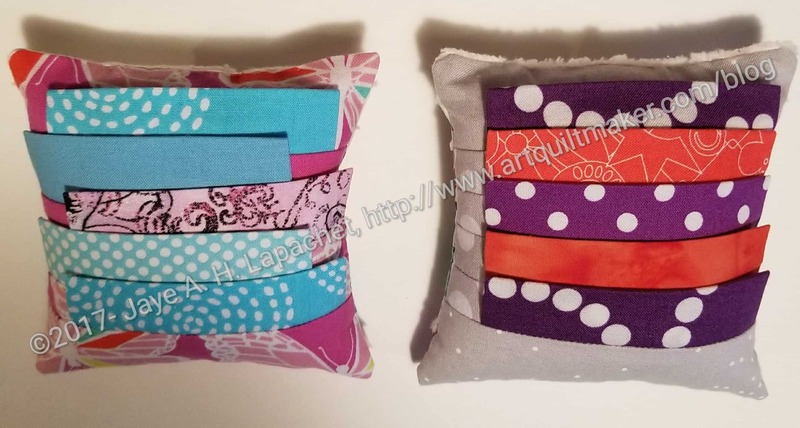 I had some sewing failures and had to remake two of the pincushions, because it was too much of a hassle under the deadline to rip them out. My attempt to repair with ShapeFlex didn’t work. Still, the selvedges are very popular, though I don’t think they work very well with pincushions. Whatever. Looks are everything, right? 😉 I’ll get to the repair later and have some pincushions available for gifts. 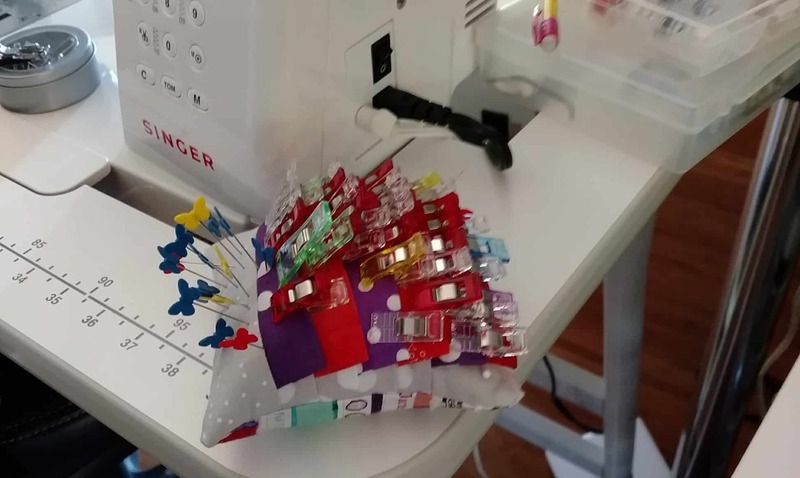 The pattern says to center the flaps for the Wonderclips and I haven’t done that thinking it would be too hard to sew. I tried it on one of the pincushions and I think it worked pretty well. I eyeballed the placement and might actually measure next time, but I think it came out well and it looks good. 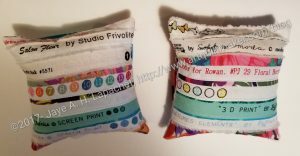 I sent the finished and fabulous pincushions to Gerre, so she could put them with her gift. She reminded me that I had missed one. 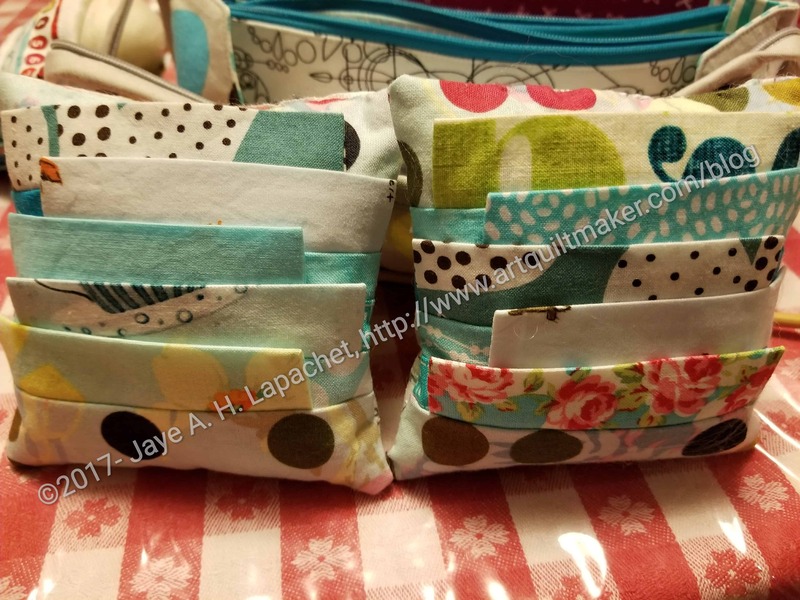 It is a good thing they are easy to make and I have lot of scraps, because I made up two more quickly. One I gave as a gift – just because and it is already in use. I enjoy making these I need to buy more wool roving so I can make more – and find some friends who need pincushions. 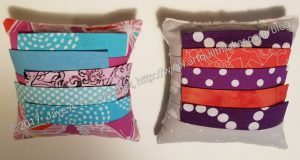 I think I’ll have to make myself one of these pincushions with wonder clip flaps. I keep my clips in a tin at the mo but then they aren’t at my side like my pincushions always are.